If you call someone a racist and bigot long enough, idiots will begin to believe it. 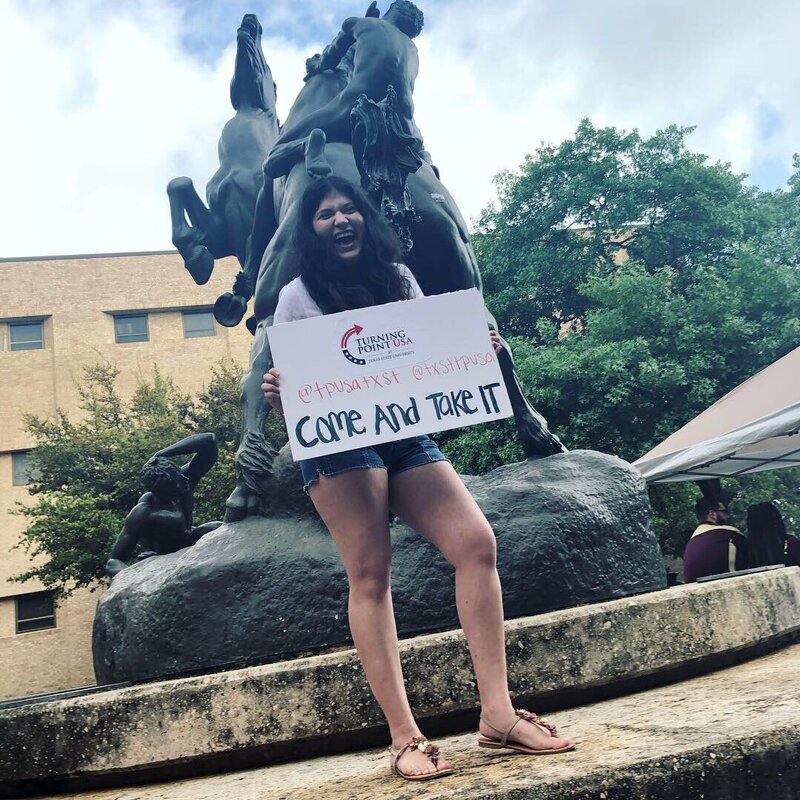 The modern left is good at personalizing the hate message and trying to call it “good.” Such is the problem when Texas State University passed a resolution aiming to blacklist (ban) Turning Point USA from the campus because of their “negative effect” on the campus. They did it to promote “free speech.” But that’s not “free speech” that’s fascism, the very thing they claim to be against. The left can’t stand that there are people who disagree with them. So silencing them is their only tactic at this point. And they lie to do it. That’s why several weeks ago one TPUSA member was beaten up on campus in California. And another TPUSA leader had his dorm room door set on fire. It’s all because they harass people. No, it’s because they have a message that runs counter to the leftists on campus. Stormi Rodriguez, Chapter President for TPUSA, attempted to speak at the student government meeting when the resolution passed. She was shouted down, someone yelled “F**k you”, and chants of “No more harassment, no more hate, remove Turning Point from Texas State!” broke out. She’s been hit with calls of “traitor to your race” and other not so nice statements. It’s that lie thing- people believe conservatives are the haters. But the actions of the left prove otherwise. The issue will come to a head if the Student Body President signs the resolution, the school could lose both state and federal funding. President Trump’s EO on the matter and the new state law in Texas could prove to cost the university some big bucks for their stupidity.